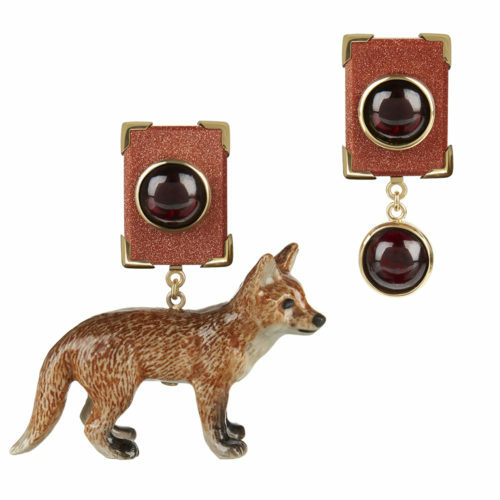 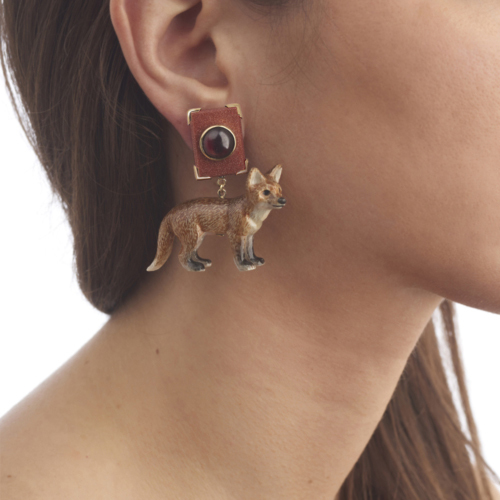 The one-of-a-kind So Foxy Earrings hail from the designer's Lost & Found collection which takes its inspiration from the Victorian curiosity cabinet, the art of Joseph Cornell and the 'found' object. 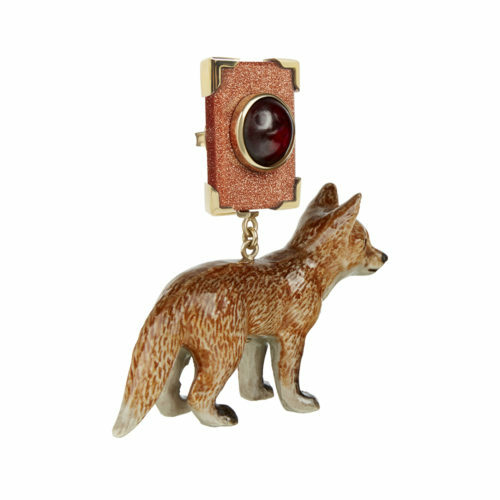 Stumbling across a miniature porcelain fox at a market store, Tessa kept this enchanting creature safely stored in a drawer with her other numerous and eclectic finds for over four years whilst she worked on different designs. Lost & Found embraces these 'lost' objects, such as the fox, giving them a new lease of life through reconstruction and embellishment.